Prof Lenny Koh, director of the Advanced Resource Efficiency Centre (AREC) welcomed John Procter, MEP for Yorkshire & the Humber, to the University on 22 September. 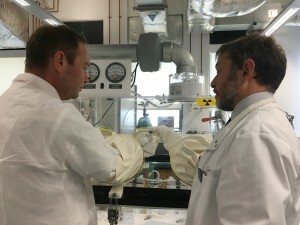 Mr Procter and his adviser to the Yorkshire & the Humber region, Martin Dales, met with different departments at the University including the Management School, the Department of Materials Science and the Faculty of Social Sciences’ Impact and Knowledge Exchange (SSPIKE) team. 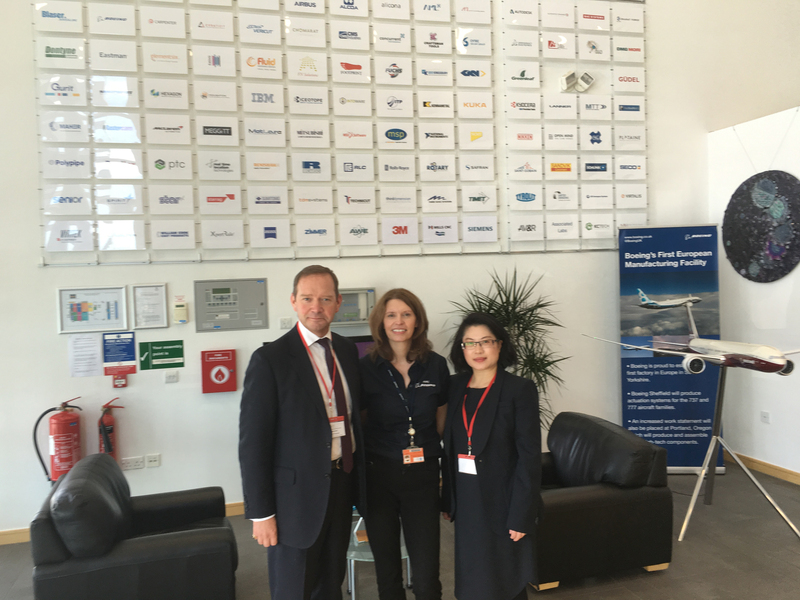 As the spokesman for Education and Culture, Mr Procter (pictured above with Prof Koh, right, and Shirley Harrison from the AMRC) has a keen interest in research at the University and was keen to see its facilities and learn more about ongoing projects. Prof Koh showed the visitors the Advanced Manufacturing Research Centre (AMRC) and cutting-edge laboratory facilities in the Department of Materials Science and Engineering, which form part of the Sir Henry Royce Institute. This visit follows AREC’s impact presentation at the European Parliament in Brussels. Mr Procter hosted the event, ‘Pathway to Global Policy, Industry and Societal Impact’, which showcased Prof Koh’s role in working towards environmental sustainability. At the event, she presented the Supply Chain Environmental Analysis Tool – Intelligence (SCEnATi), a cloud-based software in partnership with Microsoft, which helps businesses become more competitive and resource efficient, whilst reducing negative impacts on the environment. This entry was posted on Friday, September 22nd, 2017 at 13:56	and is filed under Research. You can follow any responses to this entry through the RSS 2.0 feed. Both comments and pings are currently closed.